Although it is not their primary purpose, the Vivotek VS8100, and other Vivotek video servers, support the ability to embed live video from an Analog camera into a web page. This allows organizations and individuals alike to broadcast live video from their Analog camera onto a web page. For example, restaurants, hotels, resorts, and so on that have a nice view or some point of interest can position an Analog camera to capture these views and display the live video feed for website visitors to enjoy by connecting it to a Vivotek video server. CCTV Camera Pros has also helped people set up wildlife and animal cameras for this purpose. The possibilities are limitless as far as what content you want to stream. Please note that for highly trafficked sites, this is not the ideal setup because you will be limited by the number of simultaneous users that the camera supports and you will also be limited by the upload speed of the Internet connection at the location of the camera. If the web page that will have more than a handful of users accessing the video stream at the same time, you should use a professional online broadcasting service such as uStream or Livestream that is designed to scale to hundreds or even thousands of users if needed. Here are some links to related articles on this topic. Can Surveillance Systems Support Unlimited Remote Users? 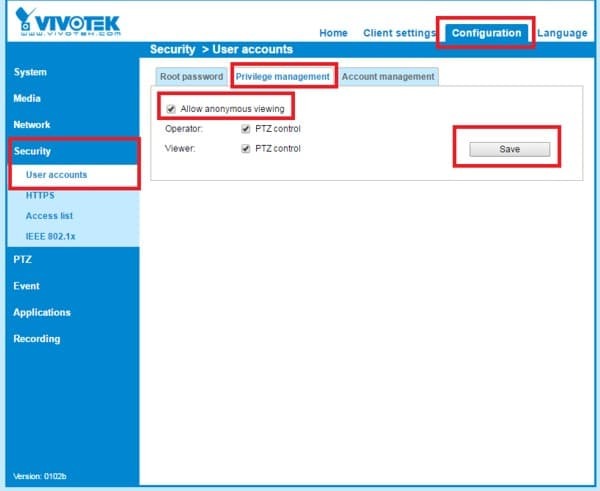 The Instructions below explain how to setup an Analog camera with a Vivotek video server to embed live video into a website. What's nice about the Vivotek VS8100 is it is very small and runs in line with the camera power so you do not need two separate power sources. 3. Now we need to change the video stream of the camera to JPEG. 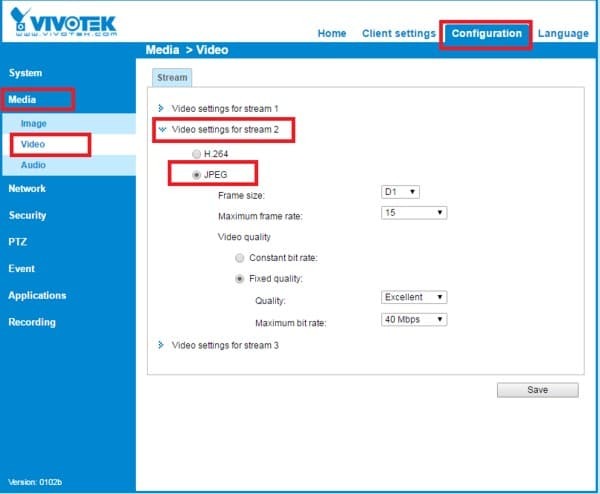 Go to Configuration > Media > Video > Select the Video Stream you will be embedding. In this example we will be using Stream 2 > Change the stream to JPEG > Click Save. NOTE: URL command to access the mjpg stream without any of the menu options -- http:// :/ For example when the Access name for stream 2 is set to video2.mjpg. You will get a video feed that looks like the below. As you can see all of the menus, manufacturing markings and etc. are not visible using this mjpg call out. 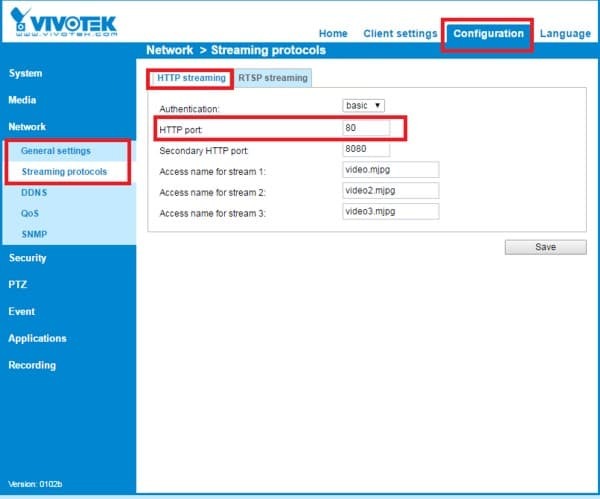 NOTE: If you want to change the HTTP port of the VS8100, you can do so by going to Configuration > Network > Streaming Protocols.